In this episode of SuperPower Mommas Anna Nummy, founder of Align Local, joins host Laura Greco to answer the question “what does entrepreneur mean as a momma?” Taking the testing, measuring and repeating lessons she learned as a biotech and biochem student, Anna now runs a successful marketing and advertising business. A mother of two, Anna has also found the time to become a Tinkergarten Leader. Tune in to hear this inspiring woman share how she fills her soul through her entrepreneurship while also caring for her children and home. Hello everyone and welcome to SuperPower Mommas. I’m Laura Greco, your host, and I’m so excited to be talking with you today. Our topic is what does entrepreneur mean as a momma. We have a momma with us, Anna Nummy, who is the owner of Align Local. Anna started out actually as an undergraduate for biochemistry and biotechnology and interestingly after 12 years of being in that sector, she has shifted to helping entrepreneurs market their businesses. I’m excited to introduce Anna for a couple different reasons. I know her personally through our conversations online but also what’s interesting to me is that she is a momma of two boys and she has a business and she’s made such a shift and I think she has some great things that she’ll be sharing with us about entrepreneur and what entrepreneur means as a momma. Welcome, Anna. Thank you so much, Laura, for having me. It is such a pleasure to be here. I appreciate you so much for this opportunity to share my story and all of that so thank you. Yeah, well, we’re so excited to hear from your story because I think we learn so much from each other in life. That’s why we listen to podcasts. I would say that for me, it’s having a growth mindset. Absolutely, I completely 100% agree because if it wasn’t for my tribe and my community, I probably would have gotten where I am now, just maybe not as quickly. Well, we have a question of course that we always start our show off with and that is what is your momma superpower? What’s your superpower? Yeah, well I would say I thought about this a lot and in some ways it sounds funny to say hard to pick one, because when I think about myself as a mom, I’m sort of inseparable from my entrepreneur life and that was the challenge. It’s like what’s my momma superpower as opposed to my entrepreneur superpower and I really don’t think they’re different. I would say that for me, it’s having a growth mindset. I’m a person who has a lot of grit so that sort of combination of the growth mindset and the willingness to do the things and to stick them out. I think that has this beautiful importance in both parenthood and entrepreneurship. Yeah, and you know what’s really cool about that, so I love that, that mindset of growth, having that is just amazing and the fact that without growth where are we going? Why are we here? Right. Yeah, if you’re not growing, you’re dying. I didn’t say it first, someone did. But that quote comes to mind. Yeah, but that’s the truth. I come from the standpoint of you’re a woman first, then you wear your hats, you’re a business, your parenting. You’re a daughter, you’re a wife, so forth, but you’re a woman first and so it makes total sense that to separate it out. Very cool. In this mindset of having a growth, that growth mindset, Anna, how do you feel that that assists your children? Oh man. Well, it’s interesting because my husband and I, we had our oldest son. Ian is about four and Abraham is 20 months, and we did not realize in some ways you care so much for your kids as a parent. You would do anything for them, but we ended up finding ourselves assisting too much, doing things in service too much and we didn’t even realize we were doing it. Even though he’s completely capable of putting on socks or whatever. Just trying to verbalize that growth mindset as opposed to I can’t do this, but okay, well let’s try another way. That’s only something that, it wasn’t totally in my awareness totally as a parent until we were experiencing some of this stuff with our oldest. He gets to be the test subject as usual. As usual. I’m the oldest in my family too. I totally get that. Oh, I love this. I love what you’re sharing here because empowering our children to trust themselves and to be able to trust our children takes a lot of growth mindset, right. Enabling them to do things like that grows their confidence. Yeah. Just awareness because I really don’t think we felt like we were doing anything to hinder him, but at the same time, he didn’t seem very interested in picking his clothes or whatever, so we would just do it for him. Enabling them to do things like that grows their confidence. In ways that as parents, we don’t necessarily maybe not realize right away, but are so important. If you don’t want your kids to be one of the kids that does the Tide Pod Challenge, it’s important to establish that inner confidence from a young age and letting them fail. How do you feel that that intertwines now with or assists you in your deciding to be an entrepreneur from home? How does that work in? Yeah, big time. I think that I had had some undulated between maybe a growth mindset and a fixed mindset in certain areas of my life. A fixed mindset would be like, “Oh, well, if I failed at this then I sucked.” Whereas growth mindset would be, “Okay, well what could I do different next time? What can I learn from this experience?” For a long time I had a real problem with failure because I’m a really big perfectionist and that held me back. In society, unfortunately, we view failure as a negative so often so it’s been a process for me, honestly, to be more accustomed and more comfortable with failure. If you’re not, it makes life, for me, extremely challenging. I had to just be okay with not everything is gonna work out, not everything is gonna succeed and you’re gonna have some bumps. I know it sounds easy to say that, but when I am such a perfectionist, I was my own worst enemy. Very self-critical, that tape recorder in my head would just go off and I’d engage with it. Now when it goes off, I say “Okay, I see you,” and I’m not gonna engage with that anymore. Who cares if this didn’t work? This is just part of life. If that answers your question, I know that was long winded, but little bit of my journey. Who cares if this didn’t work? This is just part of life. Well actually it does share some very, very important points. I was also an entrepreneur mom. I raised four daughters and I worked from home and I did a custom interiors business so I was building things and I found that mindset of growth and what you are doing here by trusting and creating awareness is that really empowered my children to also grow. It empowered me to be okay with not less than perfect, but what is perfect anyway? The rest, I view it more like now, not then, but now as either its growth or it’s a celebration. Either or usually both are combined to make such a beautiful experience if we’re willing to be open to that growth mindset that you’re talking about here. Yeah. I think too just on the growth mindset thing, it is kind of interesting when you think about IQs and things like that. Some people think my IQ is my IQ, that’s never going to change but the reality is of course it can change. Of course you can improve and it’s a willingness to want to make things better and an awareness that things are possible. Yeah, very much so. You know, I’m gonna take a quick moment for a break because it’s time and I want people to know where they can find you. We’re gonna talk a little more about what you do as we get into our discussion after the break, but Anna, where can people find you? Well, you could very easily connect with me on Facebook, Anna E Nummy. You can also connect with me, my website, alignlocal.com, and then lastly LinkedIn. I’m there. I hang out so you could find me there too. Great. We’re gonna take a quick break and when we come back, we’re gonna talk with Anna about the autonomy of a woman and then tie in her business and what she does to assist others in their businesses. So stay with us. 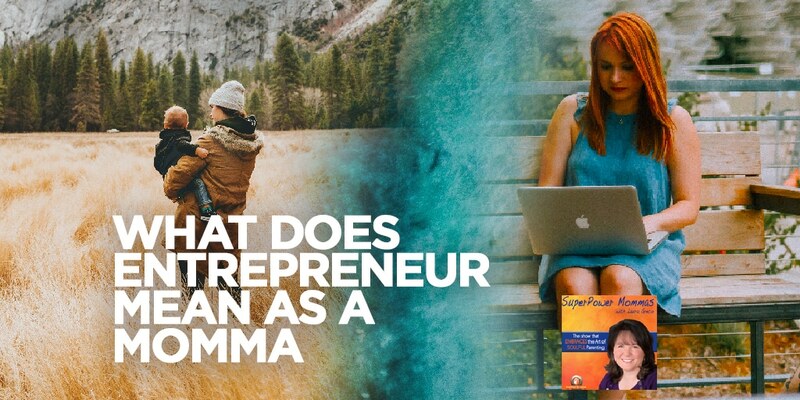 This is Laura Greco from SuperPower Mommas and you’re listening to the topic of what does entrepreneur mean as a momma? We’ll be right back.